From our NAPPA Team: Your kids will love building Sammy. Each building challenge comes with a mission for the robot to accomplish. To complete the mission, you need to use codes as commands. 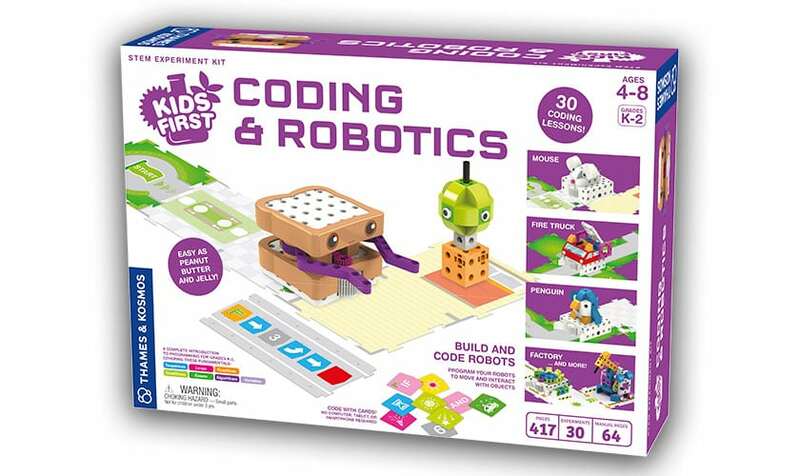 Thames and Cosmos’ Kids First Coding & Robotics provides a great learning experience for kids to think critically about how to organize the commands. And once they figure out that they can make the robot do what they want, they can create unique programs for the robot to perform silly motions. Great for building imagination, creativity and promoting STEM learning.